“I knew Hashem,” Tom, a researcher for the Palestine solidarity movement, says with a pained look on his face. “Hashem spent a lot of time with activists. He gave us a tour around the city years ago.” Hashem Azzeh, a Hebron resident, died of tear gas inhalation in late 2015. We’re in the West Bank as part of a project by Corporate Occupation, a website providing information on the companies profiting from Israeli militarism, colonization and apartheid policies. While in the West Bank, we’re updating research on the so-called ‘less-lethal’ weapons being used by the Israeli military. Our work, of course, takes us to Hebron, the West Bank city most targeted by the occupation forces. These so-called “less-lethal” weapons are used daily by the Israeli military, and have been responsible for many deaths. On every Friday during our visit in 2018, heavily armed Israeli soldiers stand on a rooftop in the center of Hebron, shooting round after round of these ‘less-lethal’ weapons – tear gas, rubber coated steel bullets and stun grenades – at Palestinian youths. The streets are littered with canisters until the Palestinian municipality cleans the neighborhood the following morning. The stamps on the gas canisters show that they are manufactured by Combined Systems (CSI), also known as Combined Tactical Systems (CTS), based in Jamestown, Pennsylvania. Combined Systems is owned by Point Lookout Capital Partners and The Carlyle Group. Hebron is a city of Israeli checkpoints, where armed soldiers humiliate Palestinian locals with body searches, detain or arrest them. The soldiers terrorize neighbourhoods on a daily basis, intimidating locals by raiding homes, stopping cars, and even tear-gassing schoolchildren. The Israeli army’s occupation of the center of Hebron is justified by the presence of Israeli colonists (often called ‘settlers’). These colonists arrived in Hebron after Israel’s occupation of the West Bank in 1967, and are responsible for countless acts of harassment and violence against Palestinian residents. Just a few of the Combined Systems tear gas canisters that have been fired into the West Bank village of Nabi Saleh. Photo by the authors. We pass through a checkpoint and our passports are studied before we can get to the Tel Rumeida neighborhood of Hebron. Nisreen Azzeh, artist and activist, and her daughter Raghad, have agreed to meet us to talk about her late husband Hashem Azzeh’s death. Tel Rumeida is a ghost town. The occupation has boarded up Palestinian shopfronts, and locals have been forced out. Settlers and soldiers make walking through the neighborhood a nerve-wracking experience. Nisreen and her family are steadfast, remaining in their house with their ancient olive trees despite extreme pressure from the colonists to leave. 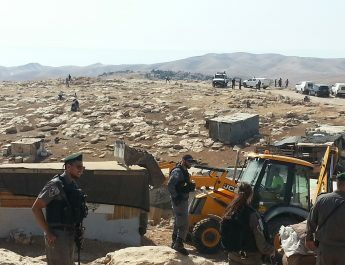 An Israeli settlement has been built just above Nisreen’s home. 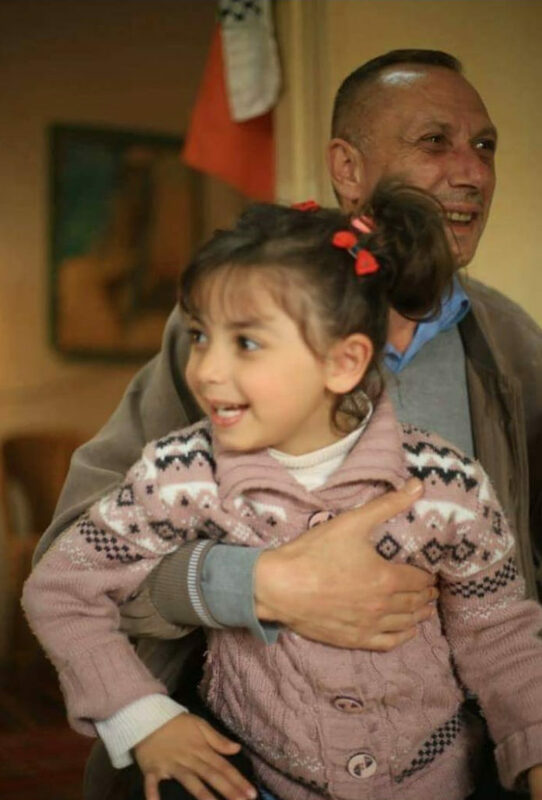 Raghad was seventeen when her father died, and her youngest brother was just five years old. She tells us about the murder of her father. “On 21st October 2015 a group of French solidarity activists visited us and my father gave them a tour of the neighborhood, as usual. 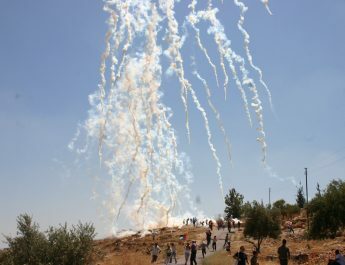 At the time, clashes were going on in Bab al Zawiyah [in the center of Hebron, close to Tel Rumeida], and the soldiers were throwing a lot of tear gas. My father had had an operation on his heart a couple of months before, and inhaling the tear gas was dangerous for him, so he didn’t take the group near the clashes. 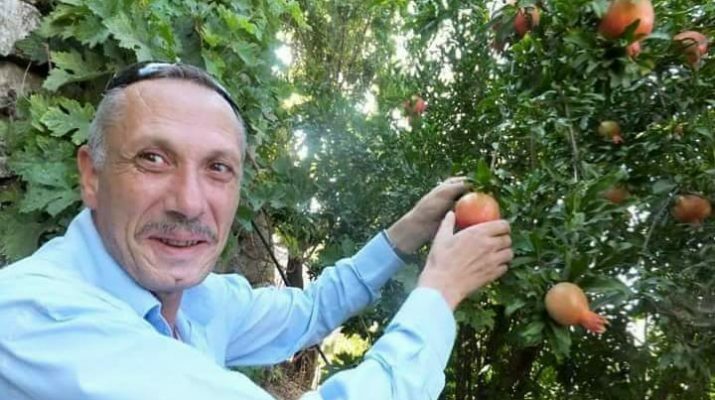 Nisreen tells us that when he was alive, Hashem boycotted Israeli goods and wouldn’t buy foods produced in settlements. He informed international visitors about the movement for Boycott, Divestment and Sanctions (BDS) and, Nisreen says, this angered the settlers of Hebron. 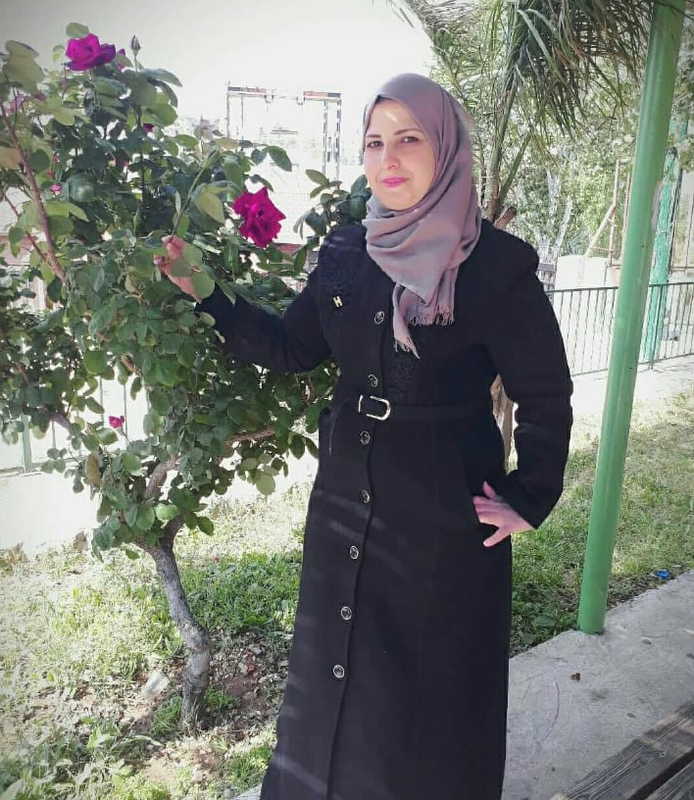 Israeli checkpoints prevent friends from visiting Nisreen and her children. Only residents of her neighborhood and international visitors can pass through the barriers into Tel Rumeida. Nisreen tells us how international presence is crucial for the residents of Hebron, and she is very grateful to groups like the International Solidarity Movement, who, among other duties, monitor settler and soldier violence in the city. 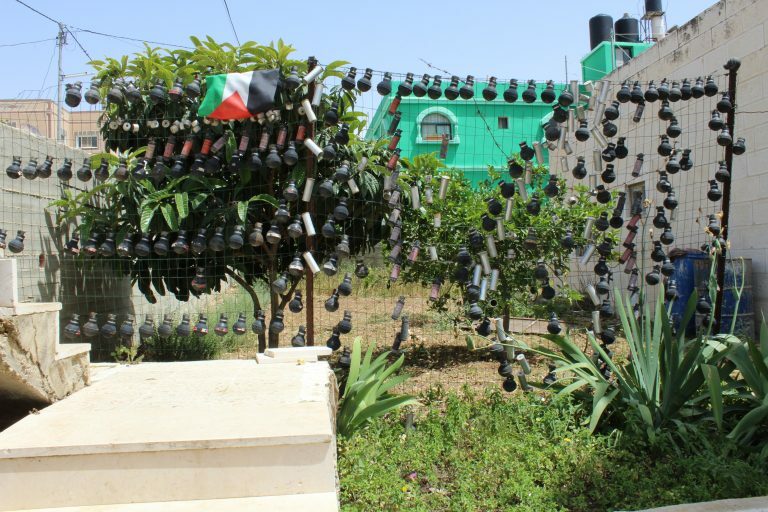 Nisreen feels that the world isn’t doing enough for Palestinians, especially for those in Gaza. Tragically, Hashem is just one of a large number of Palestinians who have died through tear gas inhalation, or through being struck by a tear gas canister. On January 11, 2019, thirteen year old Abdel-Raouf Salha was shot in the head with a tear gas canister in Gaza. Fragments of his skull embedded in his brain, and Abdel-Raouf died three days later, becoming the first Palestinian child of 2019 to be killed by the Israeli Occupation Forces. Our 2018 research in the West Bank showed that US company Combined Systems is still providing the Israeli military with their tear gas launchers and canisters, foam batons and stun grenades. The company’s canisters can be found littered all over the West Bank, and also in Gaza. A 2018 photo taken at the Great March of Return in Gaza shows that the tear gas being fired on protesters is also provided by Combined Systems. 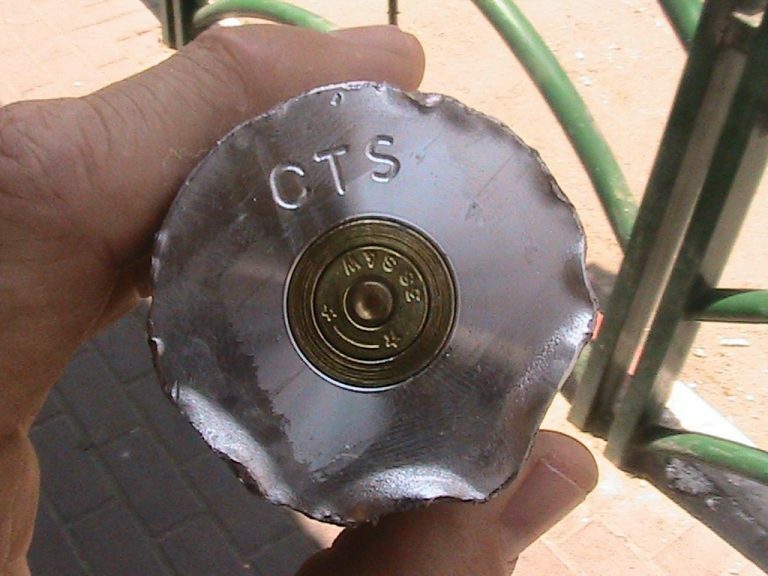 The markings of a Combined Systems tear gas canister, fired on protesters in Hebron. Photo courtesy of authors. In May 2018 we saw an Israeli vehicle at the Gaza barrier equipped with the Combined Systems’ Venom tear gas launcher, which fires the chemical weapon multiple times at once, creating a giant cloud of engulfing gas that is impossible to run from. We also saw this launcher in use in several other locations, being used against Palestinian demonstrators. The ‘less-lethal’ weapons industry is currently booming, and companies like Combined Systems have profited from Arab Spring uprisings and anti-government protests, as well as the deadly use of these weapons on people trying to migrate across borders. The global ‘less-lethal’ weapons market is expected to grow to reach $11.85 billion by 2023. And the weapons are being used in newer, more deadly ways. In 2018 the Israeli military began to regularly use drones to fire tear gas onto protesters in both Gaza and the West Bank. Once again, Palestinians are being used as guinea pigs to test out new weaponry. Over the years, there have been a number of campaigns and protests against Combined Systems in the US, not only for supplying Israel with weapons, but also in its complicity in suppressing protest movements in Bahrain, Egypt, Yemen and the US by supplying governments with all sorts of crowd control weaponry. 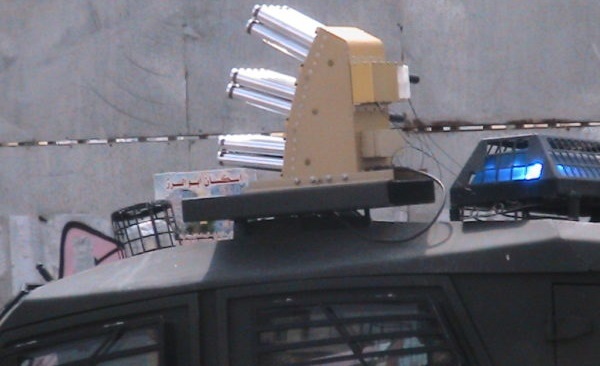 Combined Systems Venom multiple tear gas launcher used in suppressing demonstrations in Bethlehem. Photo courtesy of authors. We ask the same question to Rana Nazzal, a Palestinian woman in Ramallah who has been tear gassed by drones on protests in the West Bank. “I think that a lot of organizations and countries are complicit in the weapons industry, a lot of the time without even knowing,” Nazzal explains. “That’s why divestment is so important because the militarization of investment funds is part of what’s keeping military violence alive.